Much of the UK is under snow at the moment, and in the tradition of whenever it snows in the UK, this is my obligatory snow blogpost. 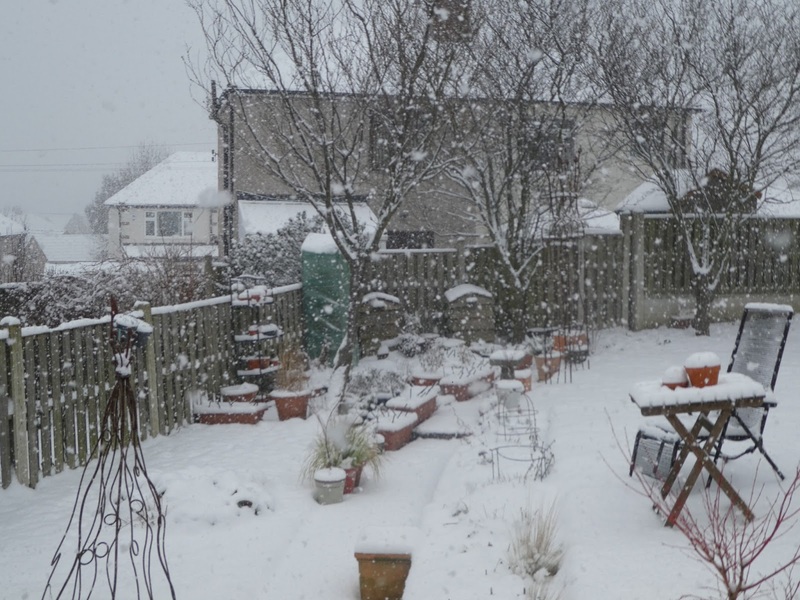 It's short, coz you know, I'm not actually going outside in it! 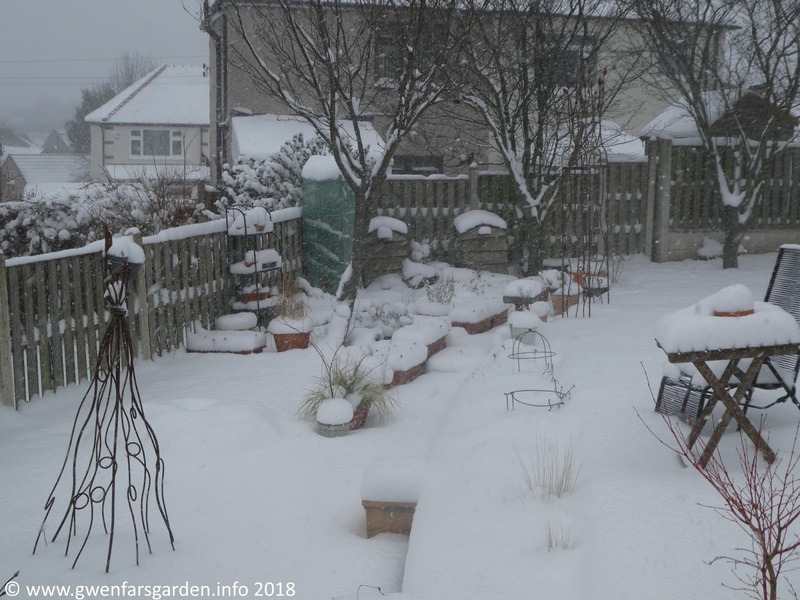 This is the garden on Wed 28th Feb.
And here it is on Thu 1st March, I think well over a foot of snow now. 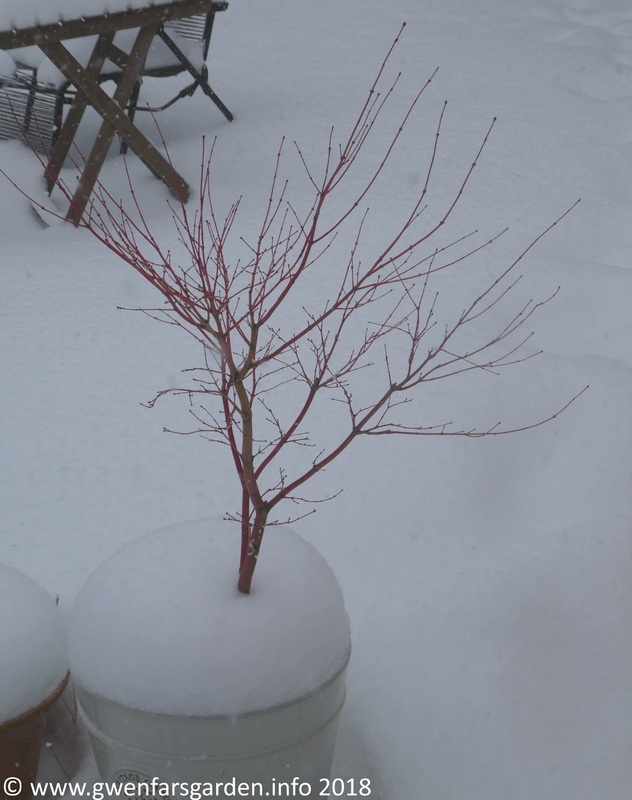 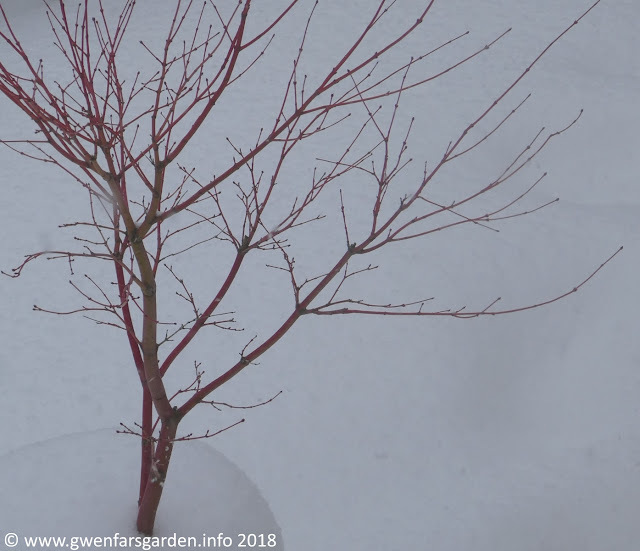 The branches of Acer palmatum 'Sango-kaku' really do their thing in this weather. 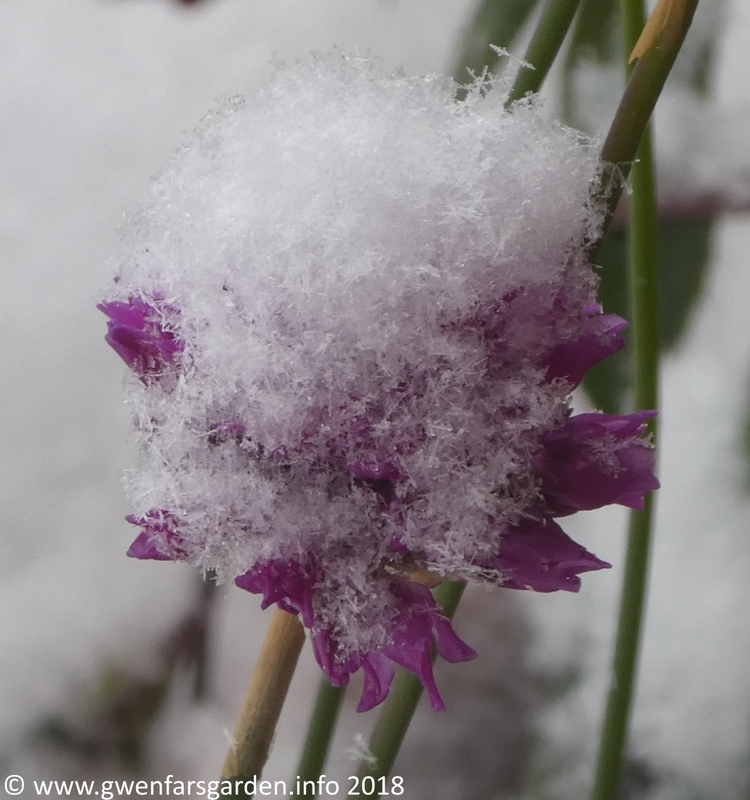 Next to the front door is Armeria pseudarmeria 'Ballerina Lilac' under the snow crystals. 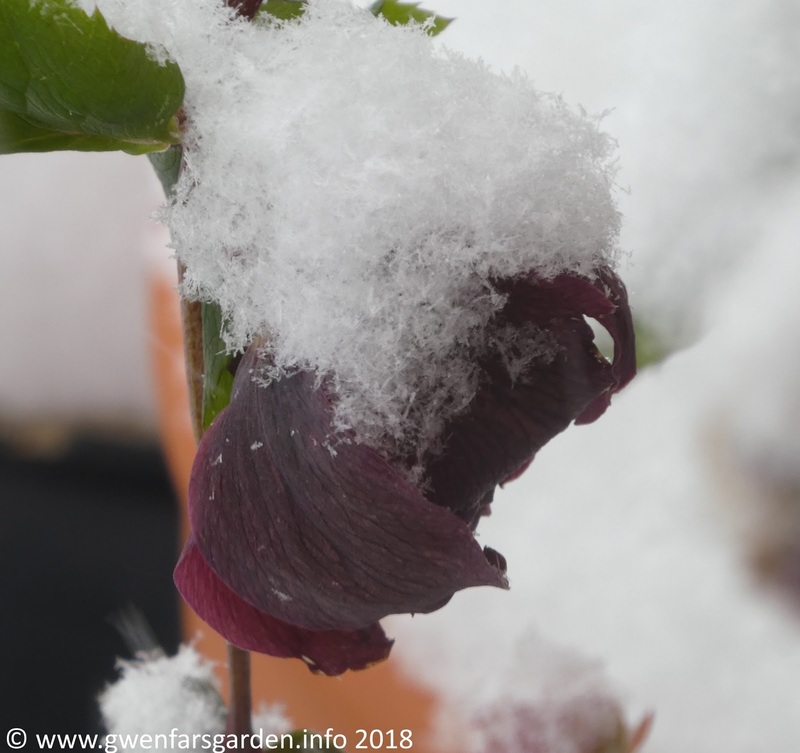 And the just about to fully flower, Helleborus x hybridus Harvington dusky. Now that I've done my obligatory snow blogpost, I can go back to bed, right?